This book by Mark Steinberg, PhD and Siegfried Othmer, PhD describes a powerful remedy for Attention Deficit Disorder (ADD) in straightforward language that every reader will understand. The authors specialize in the use of EEG biofeedback techniques (also called neurofeedback) for the attention, behavior, mood, and learning problems of children and adults. 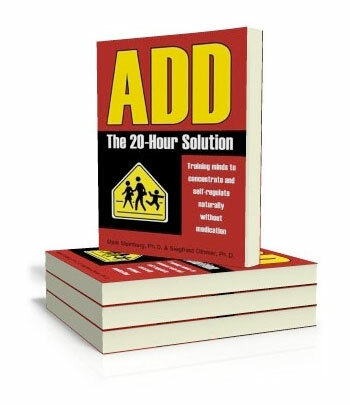 ADD: The 20-Hour Solution explains everything that parents of children or adults with ADD or ADHD need to know about how neurofeedback techniques work. ADD: The 20-Hour Solution explains the self-healing capacities of the human brain and how it can learn or re-learn the self-regulatory mechanisms that are basic to its normal design and function. The authors define mental fitness and explain the role of EEG neurofeedback in bringing about tangible improvement for those struggling with ADD. 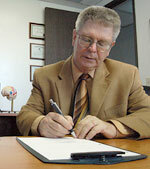 is the Chief Scientist at the EEG Institute in Woodland Hills (Los Angeles), California. He is a physicist who has spent most of his career in aerospace research. However, two of his children with neurological impairments, and a third with ADHD, moved his attention forcefully to this emerging technique of neurofeedback. is a practicing licensed psychologist in Los Gatos (San Jose), California with over 29 years of experience in clinical, educational, and neuropsychology. 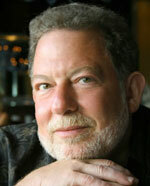 He has worked extensively with children and families, and with educational agencies and businesses. His specialties include EEG neurofeedback, Voice Technology, mental fitness training, peak performance, cognitive retraining, and technology-assisted learning therapy for individuals with academic, motivational, and neurological problems.